Welcome to Five for Friday as we ask featured author Robert Fear, who is busy promoting his latest book 'Fred's Diary 1981-2nd Edition', five questions about his writing. Thank you Robert and good luck with 'Fred's Diary 1981-2nd Edition! If you want to know more about Robert and his books you can visit his pages here at Rukia Publishing. Rukia Publishing featured author John Searancke is working hard promoting his new release Prunes for Breakfast and it is awesome to see well-deserved praise being received for this touching personal war story. From Prunes for Breakfast by John Searancke. "I chose to write in a diary format, reconstructing the story of my father’s war through research and reproducing sections from his letters verbatim in between the telling of the tale. I have not found (although I am sure that it must exist) another book which details the humdrum and mundane, as well as the exciting and dramatic, experienced and recorded in writing by one man over the full period of World War Two, as he was turned from a civilian into a fighting soldier and leader of men." Get your copy and step back in time with John Searancke. Follow John Searancke on Facebook and Twitter for behind the scenes news and reviews. 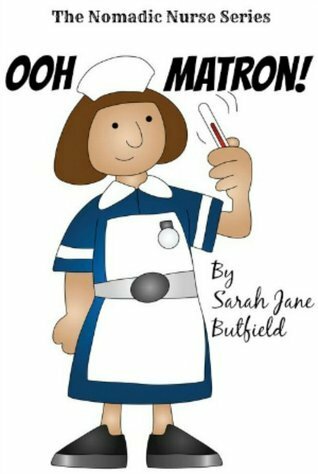 Don't miss the chance to win a signed copy of Ooh Matron!